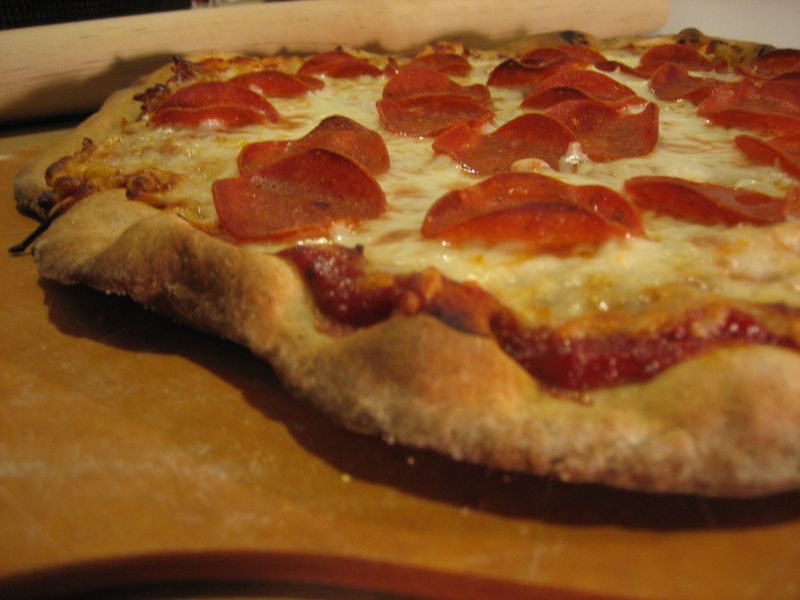 What flour is best when making pizza dough? This is a question I often get asked so I decided do an experiment and make three pizzas using three different types and combinations of flour: white, whole wheat, and spelt. Before we get to the results, I’ve detail the three types of flour used and provide their nutritional information below. 1. White flour is highly processed. The bran and the germ, which contain most of the nutrients, are removed during processing. 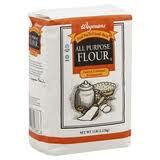 I use Wegmans All Purpose Enriched, Unbleached, Unbromated Flour. While enriched white flour is restored with some nutrients (fiber, protein, and vitamin B), it is not as healthy as wheat flour. I don’t recommend consuming anything that is bleached and since some argue that potassium bromate is carcinogenic to humans, I recommend purchasing unbromated flour. In short, white flour is the least expensive flour, but also the least healthy. 2. 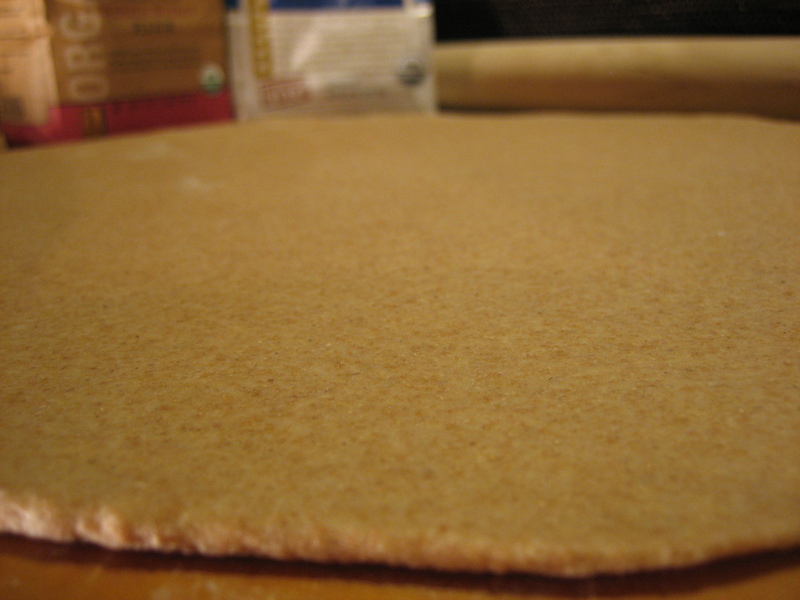 Whole wheat flour includes the entire grain. 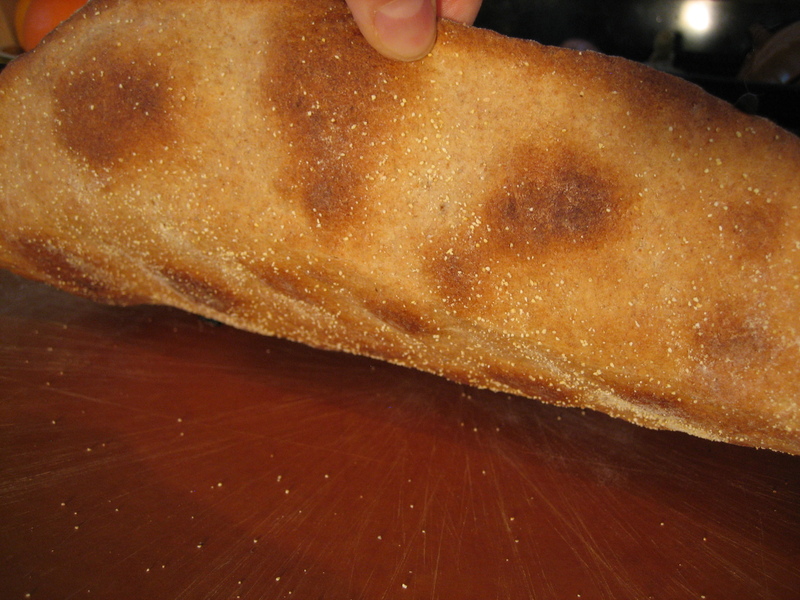 You will notice that the red whole grain leads to more texture and a brownish color. For this experiment I used King Arthur Unbleached Whole Wheat Organic Flour. 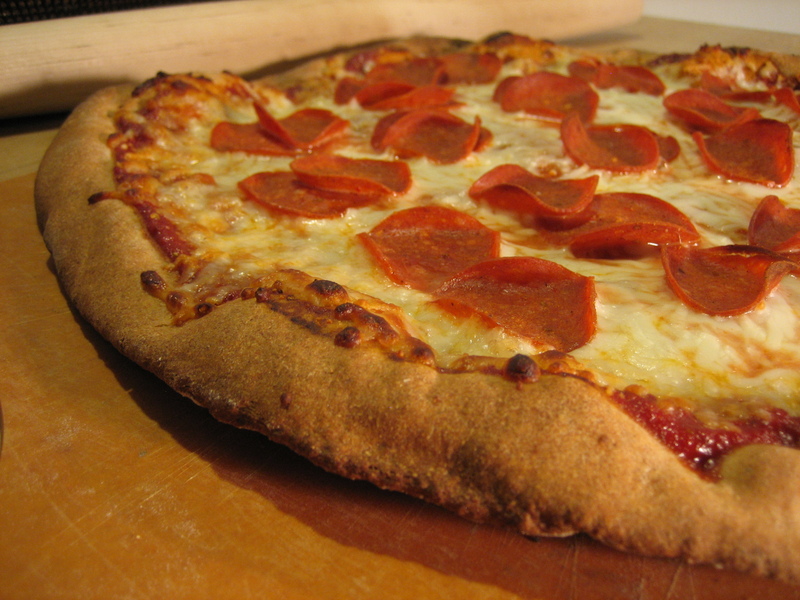 Most people looking to make a healthier pizza tend to use a combination of wheat and white flour. 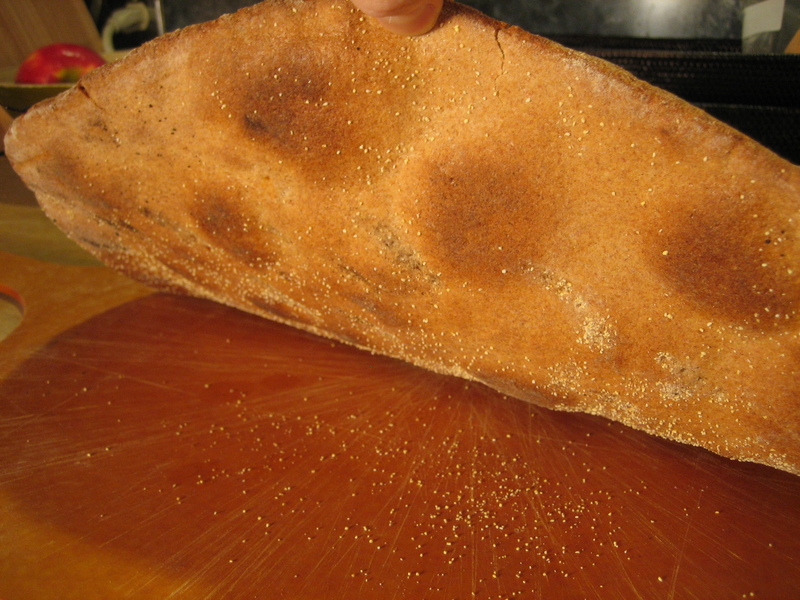 From my experience, the 100% whole-wheat store bought dough and whole wheat pizzas from local pizzerias taste dry and bland. 3. 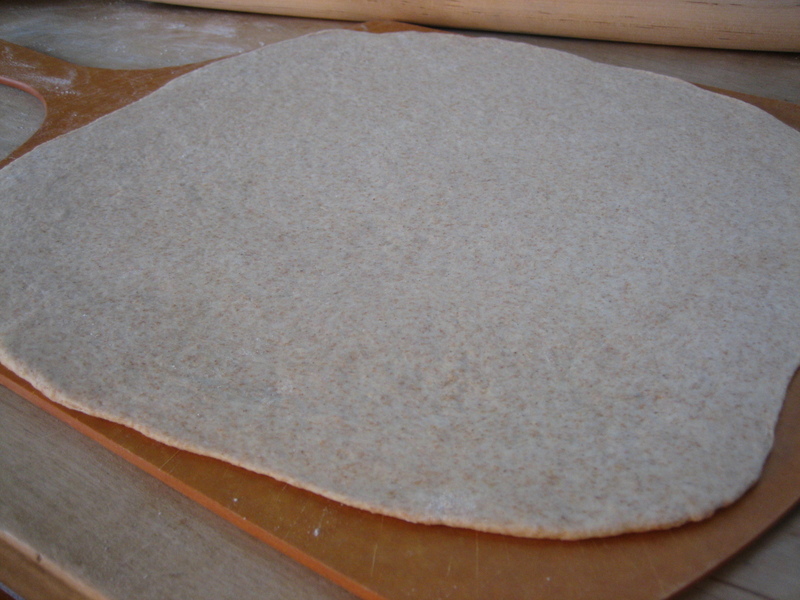 Spelt flour is a species of wheat with yellow-brown color and higher fiber content than white flour. Spelt four is marketed as having a “nutty” flavor. Some individuals that employ alternative medicine include spelt in their diet for treating bowel disease and allergies. However, a study from the American Institute of Baking and Colorado State University suggests that the superior nutritional claims about spelt wheat may be unfounded. 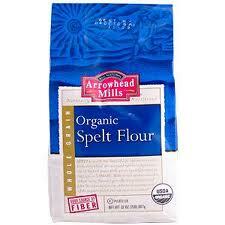 I use Arrowhead Mills Organic Spelt Flower. 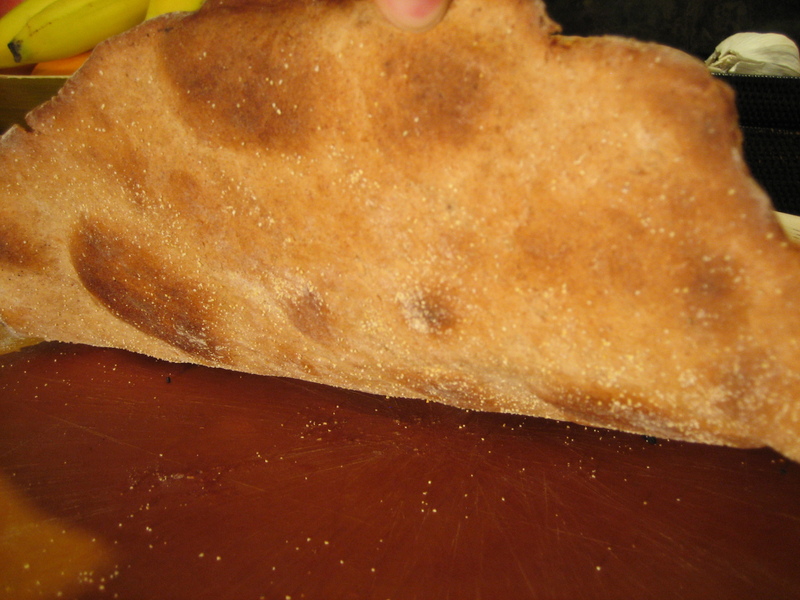 I evaluated the dough at 5 different stages: mixing, proofing, after rolling, after pre-baking and the final product. Each dough was pre-baked for 4 minutes, topped, and then baked for an additional 7 minutes at 500 degrees on a pizza stone. 5. End product: the edge of this pizza is browner, but not because of heat. This pizza was not as crunchy, but it was still firm. This was the most bland crust of the three. In fact, the pizza was so dry that it gave my husband the hiccups. 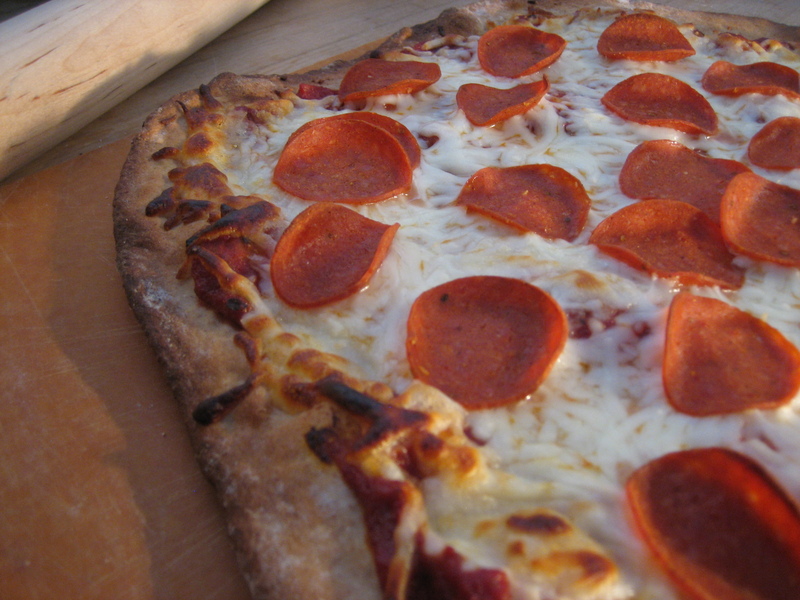 Making pizza dough from scratch is easier than most think, but knowing what combination of flour to use can be tricky. This experiment taught me a few things. First, as much I’d like a healthy crust, you need to use white flour. 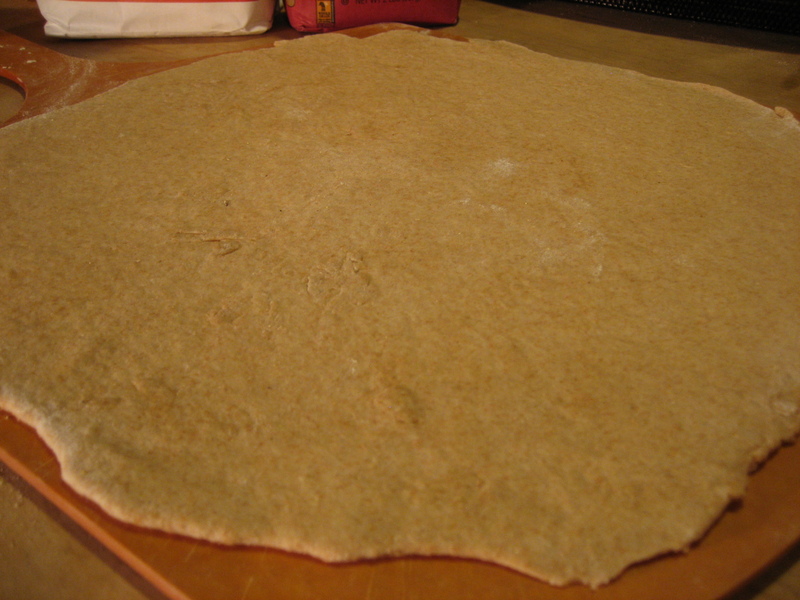 Second, whole-wheat flour is easier to work with, but it doesn’t have the texture or flavor of spelt flour. Finally, my original 50% white, 50% spelt combination is the combination I enjoy most, but I imagine that it’s a personal choice so I look forward to hearing from you about the combination of flour you use to make thin crust pizza. Yes, I too would love the full recipe… I know I saw it once, but haven’t been able to find it again. Thanks!